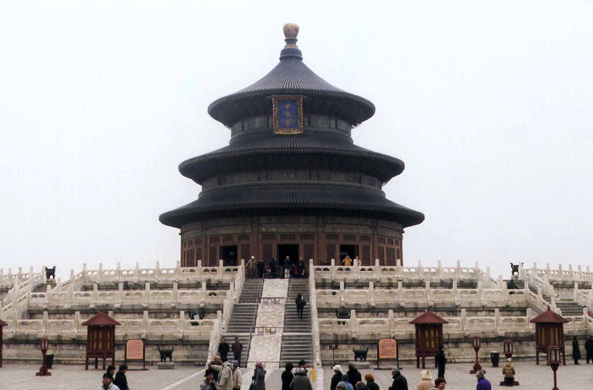 Founded into 1421, the temple is dedicated to the sky. The complex is entirely ordered by the symbolic system attached to this great yang principle. Controlled by the number three, it is dominated by the blue color and the shape of the circle, which is that of the canopy of heaven in the traditional concept.